So in my last post I shared how I struggle every year with resolutions. So when my husband shared a blog post he had found about choosing One Word for the year, I was intrigued. You know the phrase, “Be careful what you pray for.” It is like when you pray for patience and all you get is trials, problems and situations in which you need to practice patience. Well, the same goes for One Word. We guarantee that as soon as you find your word, the battle will begin. Do not approach this exercise half-heartedly. You will get slammed, we promise. This exercise is not for people who want to pick a nice, comfortable word that will have no significant impact on their lives. It truly is a discipline for those who want to press in and see God do great things in and through them. It is for those who want to live life to its fullest. No retreat. No regrets. It will also be a process of teaching, correcting and molding, as God will certainly bring you to a point of brokenness in relation to your word. But when you are soft in the Creator’s hands, He can form you into His vessel! You will be a changed competitor. And as it is now January 6th, I have been praying and pondering about what word to choose since my husband shared this with me at the start of the new year. He has even chosen his word and has written about it on his blog here. 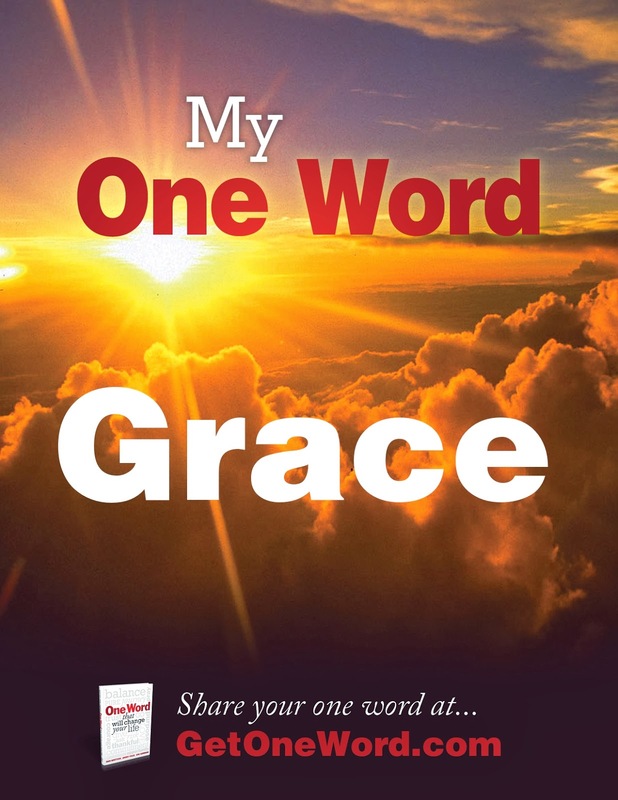 How awesome is that, you can make a free poster of your word at the website on the poster! Grace. Not because it's my mom's name, though it is, but because I truly struggle with Grace. I struggle to offer it to others, I struggle in my understanding of it. It is a word that I want to know more about. And in knowing and understanding, hopefully be able to extend more freely to others as well as myself. I hope to share my experiences with my One Word throughout the year here on the blog. And I encourage you to join me on this journey. Choose your One Word and share it below. I'd love to pray with you through the journey of seeing what God has in store for us this year!